Celiac disease, also known as gluten sensitive enteropathy, is an autoimmune disease affecting the small intestine that may lead to maldigestion and malabsorption issues. If you have not been diagnosed but believe you suffer from celiac disease, you should be evaluated by your physician. According to Kathleen Mahan and Sylvia Stump, authors of "Krause's Food and Nutrition Therapy," individuals diagnosed with the disease are advised to eat a gluten-free diet consisting of no wheat, rye, barely or oats. Increasing your calorie intake is key to gaining weight. Registered dietitian Susan Kundrat suggests adding an additional 500 calories to your diet per day to gain 2 lbs. per week. The challenge in doing this if you suffer from celiac disease is finding enough food options to do so. According to Mahan and Stump, increasing your protein intake may help replenish lost energy stores. Dairy foods, meat, fish, poultry, eggs and beans are non-gluten sources of protein that you could add to your daily diet. 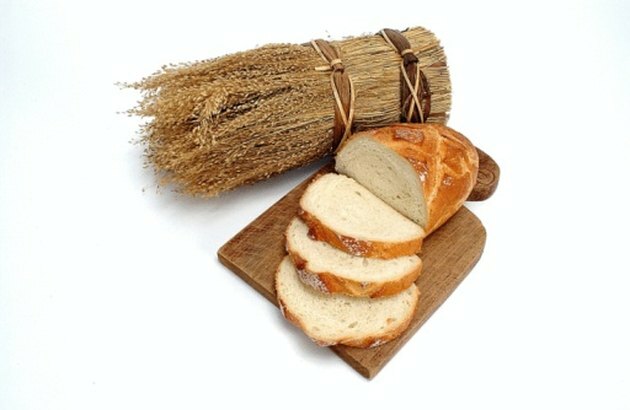 One of the most challenging macronutrients to supplement your diet with when suffering from celiac disease is carbohydrates. Consuming carbohydrates however, is important if your goal is weight gain. Reading the nutrition labels of products to determine if they are free of gluten-containing ingredients and substituting non-gluten items for those gluten items you used to eat, is imperative. "Krause's Food and Nutrition Therapy" suggests eating products made from corn, potatoes, buckwheat, rice, soy, quinoa, legume flours, millet and amaranth. Due to malabsorption and maldigestion issues that often accompany celiac disease, eating enough fat is important for both weight gain and preventing vitamin deficiencies. Mahan and Stump say that fat-soluble vitamins, A, D, E and K are commonly low in sufferers of celiac disease. Supplementing your diet with an age or gender specific vitamin and mineral supplement should be beneficial to your overall health. Increasing your fat intake with the consumption of items such as dairy products, salad dressings, butter and nuts will increase your total caloric intake. Consider supplementing your diet with omega-3 fatty acids and medium chain triglycerides, especially if you experience steatorrhea, excess fat in your feces. Consuming small and frequent meals throughout the day will help you consume adequate calories while being less likely to result in stomach distress. Choosing high-density food products such as those listed previously will also help you reach your target weight. Discovering tasty and convenient snacks that you can eat during your work day is beneficial. Maintaining a healthy exercise program should be a component of your daily routine -- just be sure to eat prior to and following your physical activity.